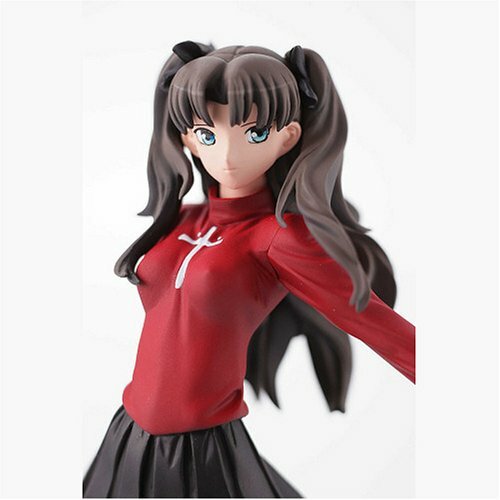 From anime Fate/Stay Night, this is Fate/Stay Night : Rin Tosaka Monsieur Bome Volume 22 PVC Figure . The 22nd release in Kaiyodo’s world-renowned Monsieur Bome Collection depicts a character from the current hit anime sensation, Fate/Stay Night. Nicely painted and prepared for prominent display, the beautiful Rin stands approximately 8-inches tall and comes in blister-card packaging. 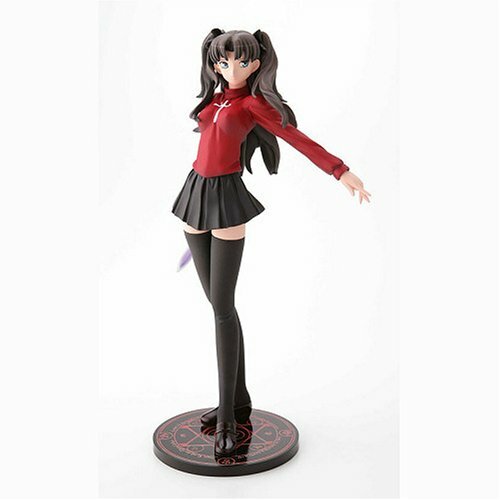 Rin Tōsaka (遠坂 凛, Tōsaka Rin) is a model student and idol of Shirō’s school. She barely talks to other students in her school and exhibits a desire to be left alone, as exemplified by her tendency to stay on the school’s rooftop, away from the rest of the students. She is also secretly a magus, and a Master in the Holy Grail War. Rin is reared as the successor to her family’s magecraft, instructed by her father, Tokiomi Tōsaka, to prioritize sorcery over her own interests. After her father is killed, Rin continues to perfect her sorcery, with some guidance from Kirei Kotomine. She strives to earn the admiration of her peers to avoid drawing attention to her private life, even though she is secretly stingy, tomboyish, and a slacker. She is perceptive, resourceful and avidly competitive. Although she tries to summon a Saber-class Servant, she accidentally calls Archer instead.